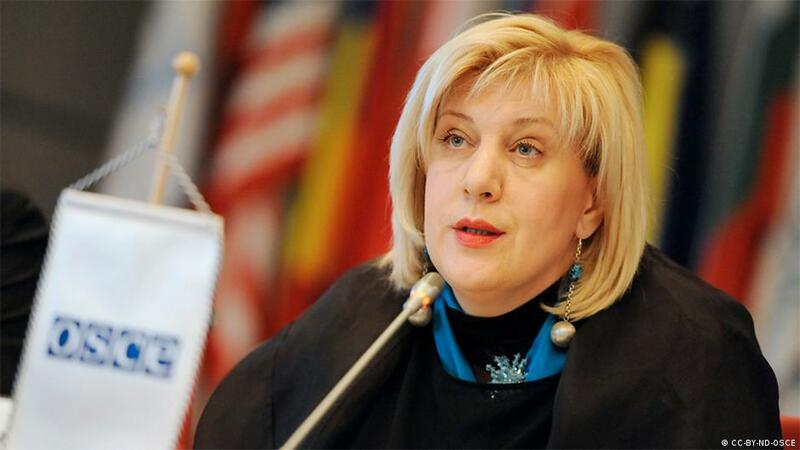 The Council of Europe’s Commissioner for Human Rights Dunja Mijatovic told Deutsche Welle Turkish on Thursday that anti-terror legislations in Turkey, as well as in other countries, could limit freedom of expression and the human rights of people in case those laws were misused. Mijatovic recently published an opinion report on anti-terror legislations in several members of the council, including Turkey. “My predecessors have for instance repeatedly warned against the dangers, arbitrariness and abuses of anti-terrorism laws to stifle freedom of expression in Turkey, where several provisions of the Turkish Criminal Code relating to terrorism and the Anti-Terrorism Law continue to generate some of the most serious violations of freedom of expression in the country,” the commissioner said in a blog post on Tuesday. She said that in many instances the legitimate exercise of freedom of expression had been criminalised in Turkey as propaganda for terrorism or as proof of membership of terrorist organisations. “I am following the issue closely,” told Mijatovic to DW. “Some anti-terror laws in Turkey has made the lives of some people impossible,” she said. According to the commissioner there are some imprisoned in Turkey for being regarded as potential terrorists. “I want to discuss this issue with Turkish authorities during my next visit to Turkey,” she said. The commissioner announced last month that she had informed the European Court of Human Rights that she would submit written observations as a third party in the pending case of Osman Kavala. Kavala, a Turkish businessman and philanthropist, has been in prison for more than a year reportedly over charges of being the mastermind behind 2013 Gezi Park protests, the biggest anti-government demonstrations since the country’s Islamist ruling party came to power in 2002. “This special case is important due to the fear it created among the civil society,” the commissioner said. “He is a well-known philanthropist and activist. He is someone we are in dialogue as the Human Right Commission of the Council of Europe. But that is not what is important. People should not be put into jail without any official charges. I do not see this as the decision of an independent judiciary. In fact, it seems like political pressure on someone who is important for civil society in Turkey,” she said. Demirtaş kararından Kavala davasına, Türkiye'deki gelişmeleri DW Türkçe'ye değerlendiren Avrupa Konseyi İnsan Hakları Komiseri Mijatovic "Bazı terörle mücadele yasaları insanların yaşamını imkânsız hale getirdi" dedi.